STRING ACADEMY WINTER CONCERT! 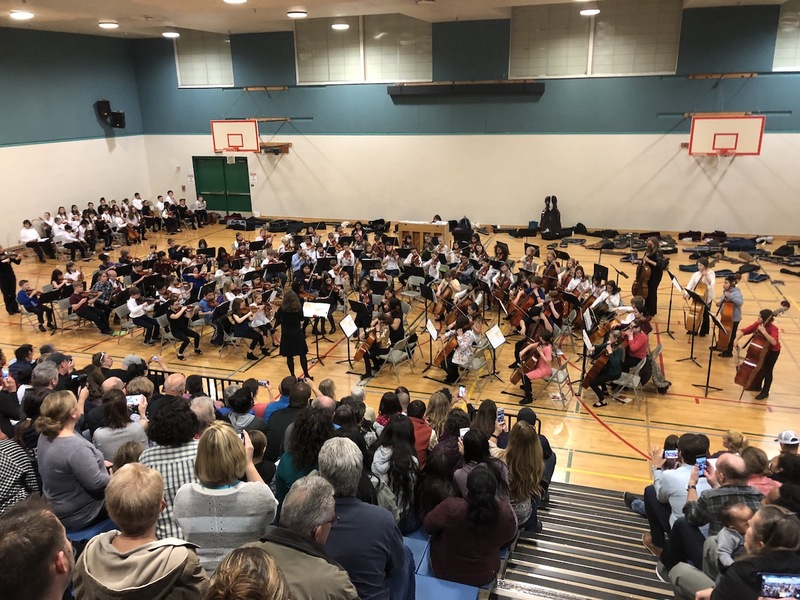 What a fantastic job these new youth musicians did at their first-ever concert. They showed us just how much can be learned in a few short months – through great teaching, parent encouragement and individual practice! String Academy 1 students from nine different schools played together as a group for the first time! Then the second and third year students of String Academy 2 shared their music and wow! It’s amazing how far they’ve come. Parents, grandparents, siblings and friends were impressed – and so were we! JOIN US – make friends, make memories, make MUSIC with String Academy! Give your child the gift of learning a stringed instrument. It’s a gift that can last a lifetime! See below for schools, class times, and registration materials. – Learn to read notes and play full songs. – Get familiar with proper technique and posture. – Perform in two concerts in front of a live audience! – Make new friends and meet students from many different schools. – Children with music instruction score higher in spatial and arithmetic skills. – Students who participate in orchestra have the lowest levels of use of alcohol, tobacco and drugs amongst any group in our society. – Nine out of ten adults and youth who play instruments agree that music making brings the family closer together. No Instrument? No Problem! ESYO rents quality instruments from our own inventory for a very modest rental fee. Just fill out the instrument rental form in your registration packet, and turn it in along with the rest of the forms. Hard copy forms for these schools are available at your school or download one HERE. Hard copy forms for BEST schools are available at your school or download one HERE. Call 541-484-0473 with questions! Please note different class times, days, and start dates! 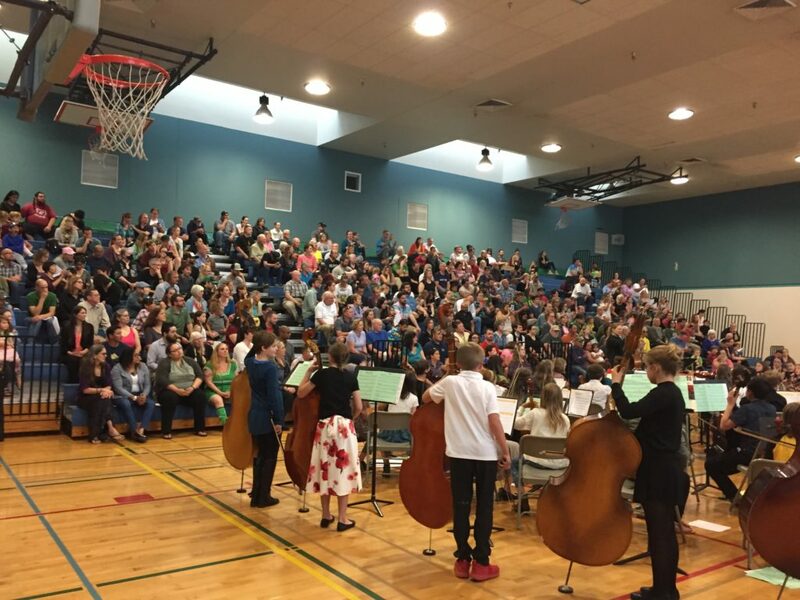 Congratulations to the 2017-18 String Academy students on their final concert at Kelly Middle School! GREAT JOB everyone!! CLICK HERE for more photos!